Did you know that Bitcoin and most other cryptocurrencies out there are not actually anonymous? With Bitcoin and other cryptocurrencies, you are giving up your financial privacy. All transactions of such cryptocurrencies since the founding of the coin are permanently open for anyone to view on their public blockchain. Researchers, governments, regulators, and cryptographers have made significant strides in analyzing metadata and patterns to track down the real-world identities of such crypto users. And this level of sophistication in tracking down users is a serious privacy problem. I know some of us don’t mind giving up our financial privacy and some of us even take it for granted, but have you ever imagined what could happen when you lose your financial transaction privacy? Imagine having all of your transaction history and spending habits revealed, or imagine that you have received an illegal or tainted coin in your account. In such scenarios, not only will your privacy be compromised, you could be imprisoned for receiving or HODLing tainted coins. But such services or cryptocurrencies also leave some trace and still provide an analyzable transaction history which can track you down. That’s why to solve this fundamental problem, many anonymous cryptocurrency projects are mushrooming up, but very few look all that good. One promising cryptocurrency that is trying to solve this problem is PIVX. 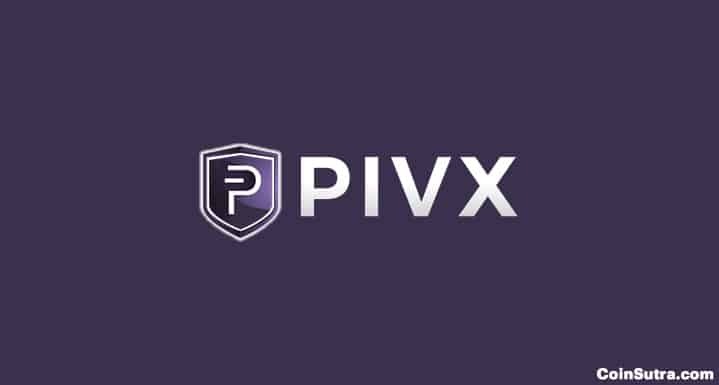 PIVX is an open-source, decentralized cryptocurrency that focuses on privacy, security, anonymity, and instant transactions. PIVX stands for Private Instant Verified Transaction. When PIVX was originally created and forked from DASH in February 2016, it was originally called Darknet (DNET). But unlike DASH, it is a proof of stake cryptocurrency with an improved POS mechanism. After the fork, with more community involvement, it was rebranded in January 2017 to PIVX in order to reflect its underpinning vision, mission, and ideal. After its rebranding and enhanced marketing efforts, PIVX has surged +54,118.75%, which is simply mind-boggling. To put that into perspective, if you had invested a nominal $100, you would now have over $54,000 from that one investment. But before that, let’s see what PIVX’s community is trying to achieve. And with this, they are trying to achieve their goal of decentralization, near instant private transactions, and a model of community-run governance which is better than DASH and other cryptocurrencies. The PIVX team is a multicultural and diverse team made up of its community members. These members only take care of various roles in business development, programming, marketing, and support. 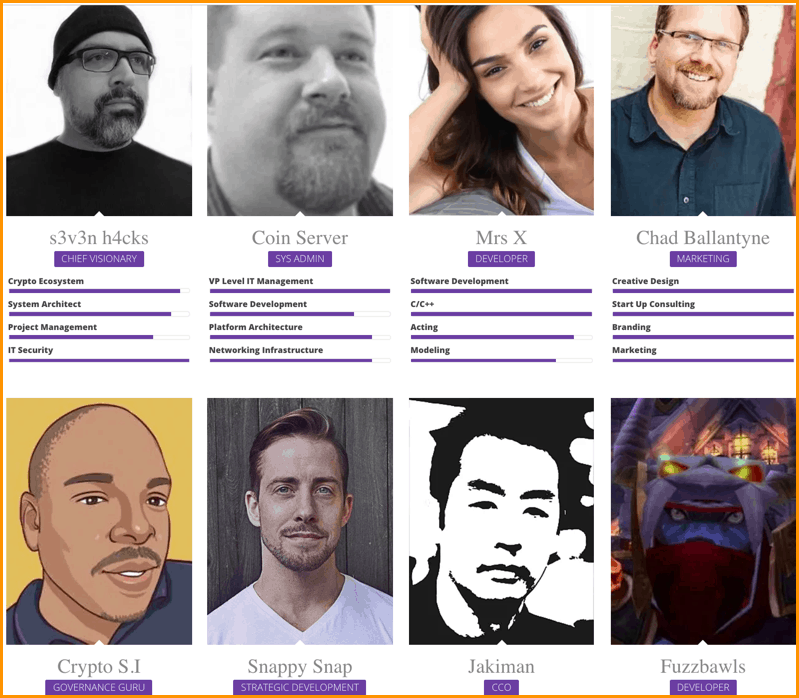 Among them are the founders of the PIVX project: s3v3n h4cks (CHIEF VISIONARY) and Coin Server (SYS ADMIN). PIVX doesn’t have a finite coin supply cap like Bitcoin or DASH. But PIVX’s supply increases every year by approx 2.6 million. At present, the circulating supply of PIVX is 55,169,505 units, and it will reach 312 million after 100 years from now (when none of us will be alive). Also, PIVX’s average block mining time is 1 minute, which makes it a lot faster than both Bitcoin and DASH. At the point of writing this article, the total available circulating supply of PIVX is approximately 56,781,166 PIVX units, and the price of each unit of PIVX is worth $1. Hence, the market capitalization of PIVX is $61 million. As of October 2017, PIVX is sitting at the 29th position in the list of cryptocurrencies by market capitalization with huge potential for growth. 1. PIVX is the first proof of stake cryptocurrency with a Zerocoin protocol level anonymity, thus making it truly fungible. 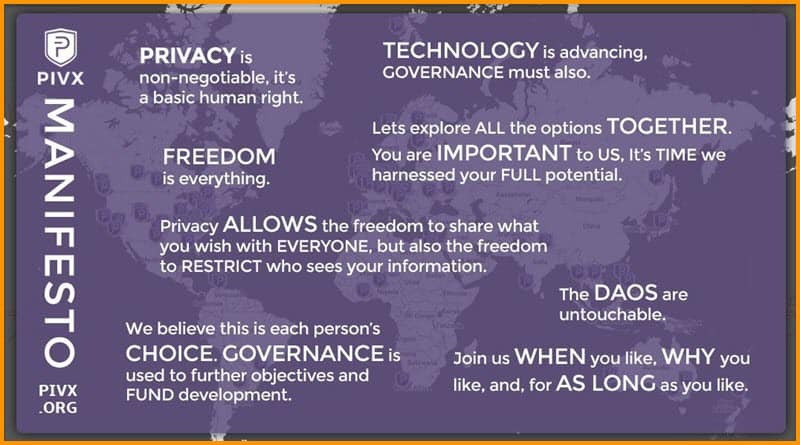 Read this, this, and this for more details on the Zerocoin protocol. 3. PIVX uses SwifTX technology to achieve near instant transaction confirmations in less than a second to overcome double spending challenges. This feature isn’t used in most cryptocurrencies yet. 4. 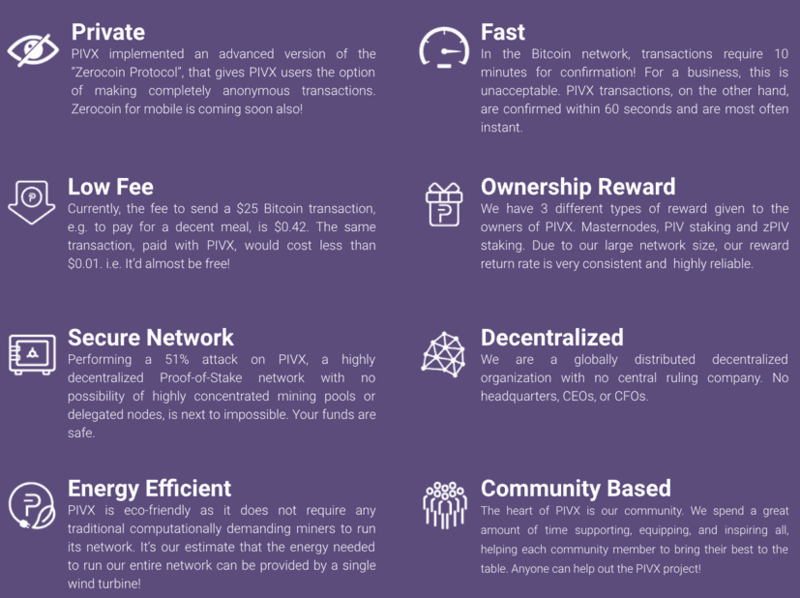 PIVX is an open-source, self-funded, and self-governed cryptocurrency project with no controversies such as instant mine and pre-mine strategies. Now that you have bought some PIVX, let’s put those coins in a wallet. PIVX doesn’t have many wallet options, but for early adopters, there are definitely options out there. Future Of PIVX -Will It Be The Next DASH? The future of PIVX is looking promising as it is all set to become a popular DASH alternative with a better POS mechanism, community-driven governance, and smart reward distribution strategies. I think it has all the features and resources to become the next DASH or even better than DASH in terms of community, service, and price. 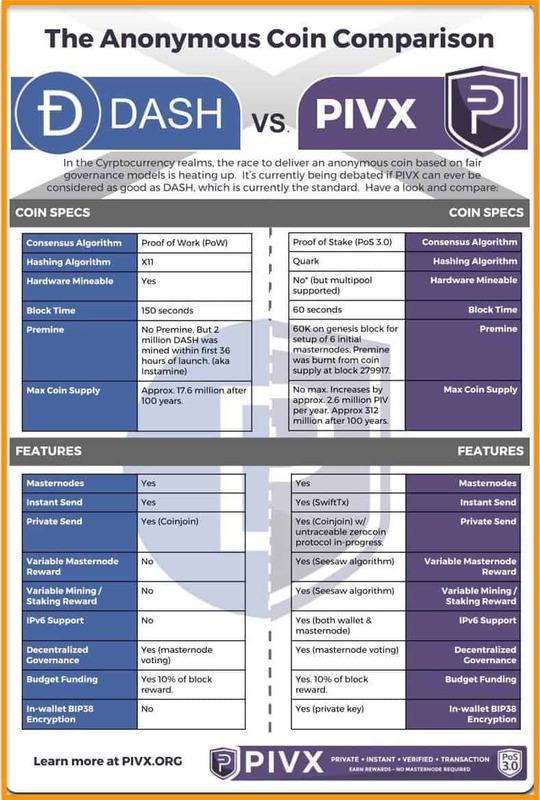 PIVX also has an upper-hand over DASH in providing a better anonymity feature as PIVX has now become the only POS currency out there to implement the Zerocoin protocol. I think this is a lot better alternative to conjoin or mixing services. Even though it’s competing with Dash, Monero, Verge, and other similar coins, it’s not going anywhere. This is evident from PIVX’s recent achievements since the start of the year. I believe PIVX stands out in the crowd of anonymous cryptocurrencies, and I am sure that as time passes, it will become a more mature and robust currency. And that’s why I think it is a promising cryptocurrency worthy of investment. Note: I know DASH is not a truly POS but its masternodes work kind off in a POS way and keeping DASH coins there is very profitable that’s why I compared PIVX & DASH here. In the coming future, the cryptocurrency environment is going to evolve, so stay tuned to CoinSutra to keep learning about the cryptocurrency revolution! Let me know in the comments what you think about PIVX and which cryptocurrency you want me to cover in my next article! And if you liked this post, don’t forget to share it with your friends on Facebook or Twitter!